The Concept2 rowing machine model E (PM5) is the current top machine of the Concept2 Indoor Rowers. The PM5 ocomputer of the Concept2 offers even more memory space and is also equipped with Bluetooth Smart-technology now. Compete against each other with several rowing ergometers at your own home fitness regatta! Digital heart rate measuring: the heart rate receiver is already integrated in the PM5, so that the heart rate is automatically displayed, when you wear a chest strap. The Concept2 rowing machine model E (PM5) is now available in black colour! After the Concept2 rowing machine model E was only available in light grey colour for a long time, Concept2 upgraded the selection now by the black colour version. 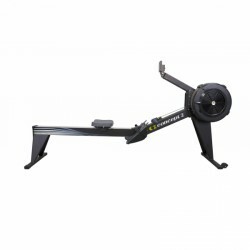 The popular rowing machine Concept2 model E is now equipped with the improved training computer PM5. It offers more memory space and better connectivity with other Concept2 Indoor Rowers and finally also a Bluetooth Smart interface. The Concept2 rowing machine model E is one of the most popular rowing machines at gyms and among club rowers. It allows everyone — from leisure rower to pro athlete — a safe, efficient whole body training. Its air resistance system offers very smooth strokes. Due to its very high stability, the Concept2 rowing machine model E (PM5) is mainly popular at gyms. The indoor rower is also quite easy to use. The PM5 training computer offers connectivity via Bluetooth Smart and ANT+ with compatible chest straps. Furthermore, the data backup is possible witih USB stick. The internal memory of the training computer records about 1000 training sessions. Moreover, new, varied games are available for more motivation throughout the training. Thanks to the automatic connection between the PM5 training computers, you can compete against each other without additional pc and complicated settings. In addition, a heart rate receiver is already integrated in the training computer of the Concept2 model E, so that the heart rate is automatically displayed, when you wear a chest strap. 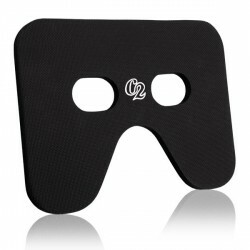 Concept2 Cover for Model E In stock!